Smooth and tasty, this creamy delicious soup is both hardy and sweet. 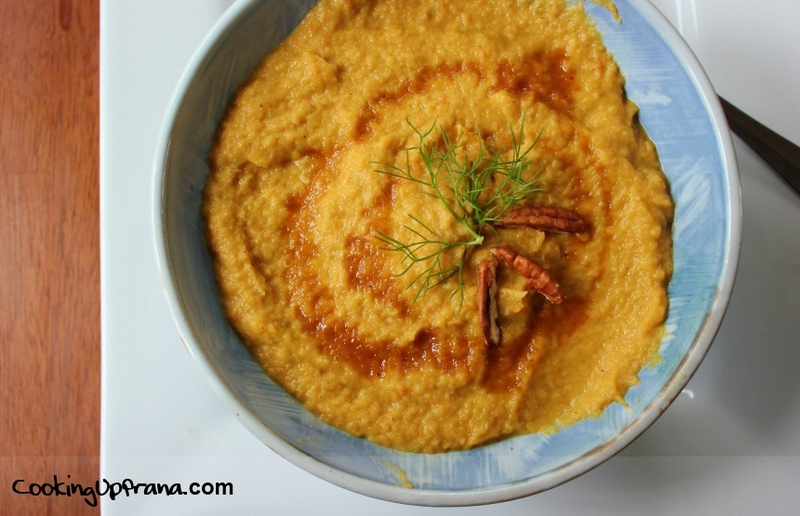 Made with fennel, carrots, and leek plus warming spices and satisfying coconut milk it is half soup/half dessert by the time you top it with a drizzle of agave nectar and a few toasted pecans. As the days get shorter and the nights get longer, the temperature drops and the wind picks up it’s natural to start craving more warming, comforting foods to nourish ourselves. Especially for those with a Vata Constitution, it is important to honor that craving and prefer foods that add heat and are naturally sweet. If Vata is your primary dosha, movement and change are basic to your nature; you will tend to be active, quick, and always on the go. As long as Vata is kept in balance, you will be lean, light, and creative with an enthusiastic disposition. Try my dosha quiz to discover your constitution. 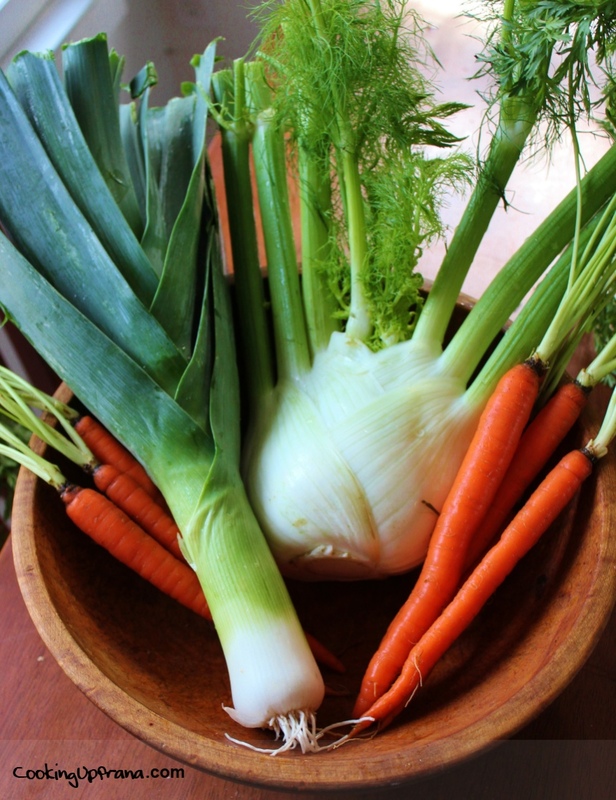 After you preheat the oven, start to prepare the vegetables by removing the fronds and stems from the fennel bulb, scrubbing the carrots well, and rinsing through the layers of the leeks (rest assured you will find dirt lurking in there). 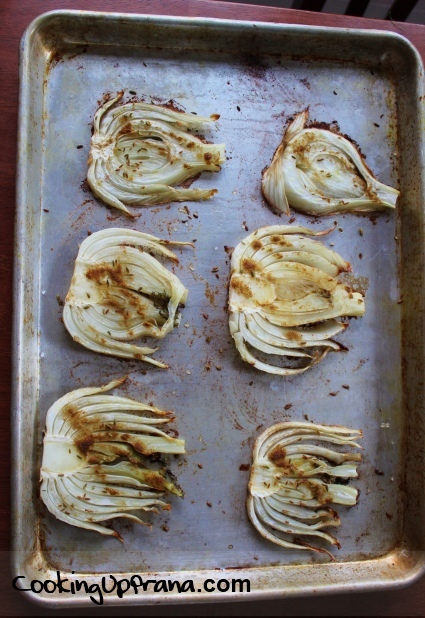 Arrange the vegetables on 2-3 baking sheets, drizzle with olive oil and sprinkle with the cumin, coriander, and sea salt. You can also add cinnamon to bring out a little more sweetness and subtle heat. Once the veggies are browned and cooked through remove from the oven and place in a food processor. Add the coconut milk and vegetable broth and puree on high until smooth and creamy. 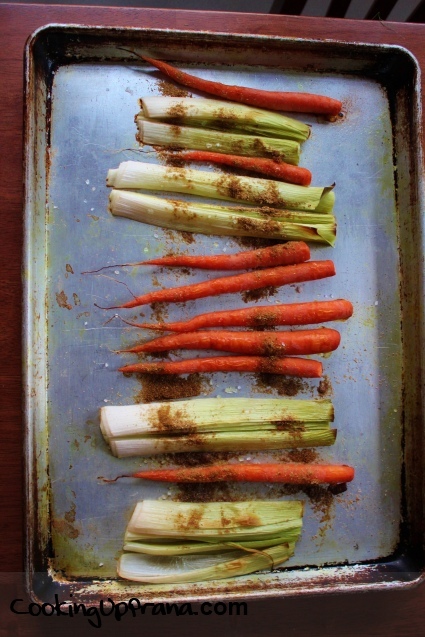 Arrange fennel, carrots, and leeks on baking sheets and drizzle with olive oil (about 2 tablespoons per sheet). 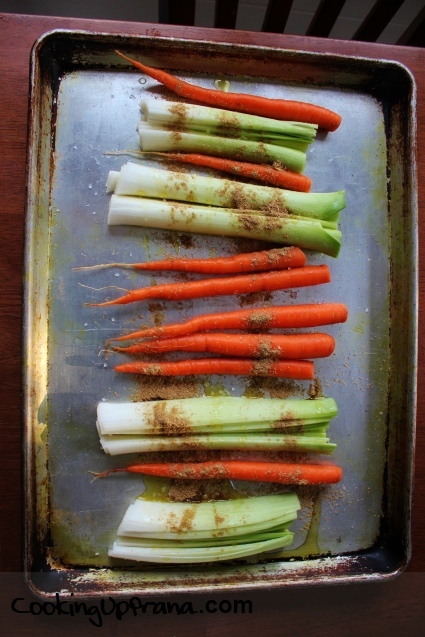 Season with cumin, coriander, and sea salt. 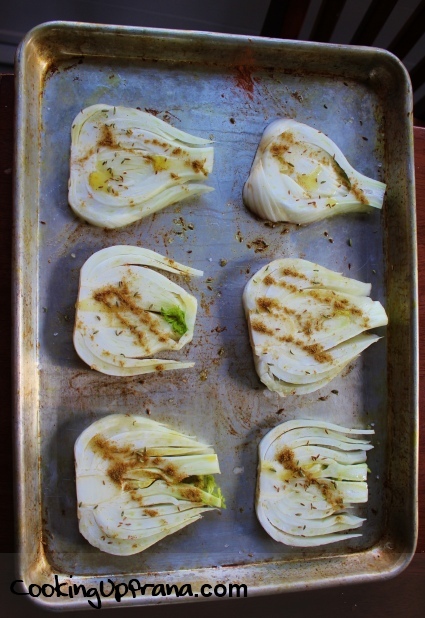 Bake in oven for 30-40 min or until cooked through and lightly browned. 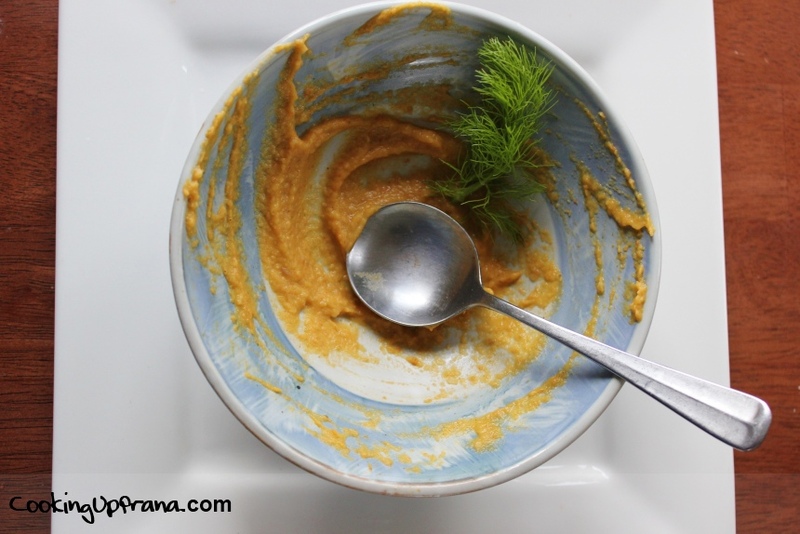 Transfer roasted vegetables to a food processor along with the coconut milk and vegetable broth (you may need to divide the veggies and do this in two parts). Blend until pureed. 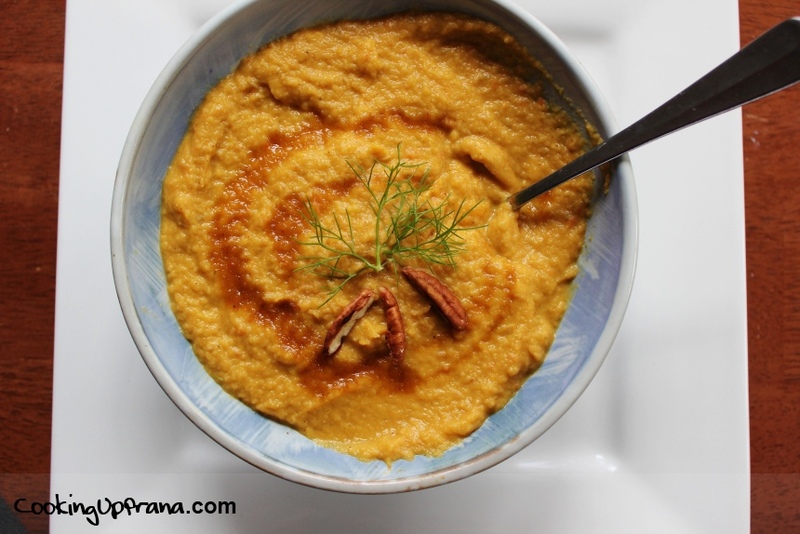 Transfer to bowls to serve immediately, garnishing with fennel fronds and toasted pecans. I imagine it would also go well topped with shredded coconut. prefer sunflower seeds over pecan due to heating quality of pecans. Substitute another cup of veggie broth for the coconut milk.